SPEEDHIDE® MaxBuild™ High Build Drywall Surfacer is a quick drying, interior, vinyl acrylic latex drywall surfacer for use as a first coat on unprimed/unpainted drywall. Recommended for high build spray application over new drywall. The surfacer can be used to replace the typical two-step process of applying a skim coat of joint compound to the finished drywall, followed by a coat of primer. 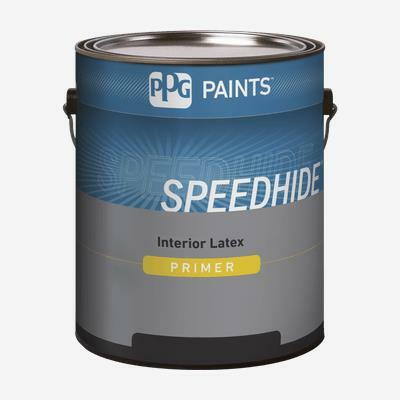 This product ensures that the finish coat will have a smooth and uniform sheen. SPEEDHIDE® MaxBuild™ High Build Drywall Surfacer, when applied according to recommended spread rates, will achieve a GA-214 ASTM C-840 Level 5 gypsum board finish.